You are here: Home » Dogs Love Waffles. Dogs Hate Wafflers. Dogs Love Waffles. Dogs Hate Wafflers. The following is a Guest Blog by: Karel Minor, Executive Director, Humane Society of Berks County and Vice President, Humane PA. When the last session of the Pennsylvania Legislature came to a close, it was with a whimper for the “Cost of Care” bill. The bill, which requires pet owners charged in cruelty cases where a judge has allowed for seizure of the animal to pay a paltry amount to care for the pet while in custody, never made it out of Senate committee for a vote before the clock ran out. Please take a few minutes to thank the Representatives who voted for HB 82. Then, if you live in one of the Berks Five’s district, take a few minutes more to share your disappointment regarding their vote on this important issue. Were they for it before they were against it? Did they vote for it last time in error because they didn’t read it? Or perhaps because it was the end of the term and they knew the Senate wouldn’t get a chance to vote so they thought they’d have a safe “dog friendly” vote to cast before the end of session? Or did they have a genuine change of heart, perhaps thanks to the lobbying of those who want to place the woes of perpetrators of animal cruelty against the best interests of animals and the animal shelters which enforce Pennsylvania cruelty laws at our own cost under the direction supervision of County DA’s and judges?It was a split decision, however, because it had been sent over to the Senate for consideration after being passed unanimously by the Pennsylvania House of Representatives. That’s right, one hundred percent of Representatives in both parties voted for the Cost of Care bill, the truest of bi-partisan landslides. Even the overwhelmingly passed Puppy Mill bill of 2008 only received about 96% of the vote and that was a historic landslide. With a 100% vote margin, surely there should be no issue with passing an identical bill again this session, and early enough to get it to the Senate for a vote and on to Governor Corbett’s desk to be signed into law. Well, it passed on January 23, 2013, with a pretty good margin of 163 to 34. What left many of us scratching our heads are the 34 Nay votes. After all, this year’s bill is identical to last year’s bill. OK, in full disclosure, I didn’t put the two bills side by side but by all accounts it’s identical. And even by the account of the AKC which has been working feverishly to block the bill in its now legendarily heroic attempts to shield bad breeders from stronger laws across the nation. Identical. Why then would 34 Representatives, including five Representatives- and I swoon with pride- from right here in Berks County, vote against a bill they voted formere months ago? Sometimes these votes can go up or down on party lines, for strictly political reasons, and we all understand that. But while all the Berks no votes were among GOP Representatives, the overwhelming majority of Republicans, including the majority leadership who brought this up for a vote, supported the bill. Sometimes votes can demonstrate the rural/urban /suburban divide. But the five in Berks who voted against HB 82 represented a span of rural, semi-rural, and suburban districts, as did the four Representatives in both parties who supported the bill. Why would these five Representatives- Gillen, Maloney, Cox, Tobash, and Day– vote against a bill which as law would still require DA approval of warrants and seizures and judiciary approval of the same warrants and seizures, and models laws on the books already, get the thumbs down from the Berks Five? One could think it might have something to do with the five’s less than stellar voting record on animal welfare issues. One is one of the only a tiny handful to vote against the overwhelmingly supported 2008 Puppy Mill bill every step of the way. Another is an unabashed pigeon shoot supporter. The others are at the very least out of step with vast majority their own party who brought this bill up for a vote and passed it. But it still doesn’t explain why they voted for the bill last year and voted against it this year. 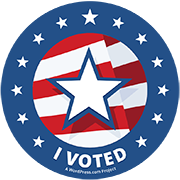 Four of their fellow Berks Representatives voted for it last time and this time, from both parties: Caltagirone (D), Knowles (R), Rozzi (D), andMackenzie (R), and we thank them for their support. Why the flip flop from the others? Don’t they know that dogs and animal lovers may love waffles but we hate wafflers? Find out how your Representative voted on HB 82 by clicking here. Find your representative by clicking here. Written by: Karel Minor on January 24, 2013. ← First Week of Session Off to a Great Start for Animals!